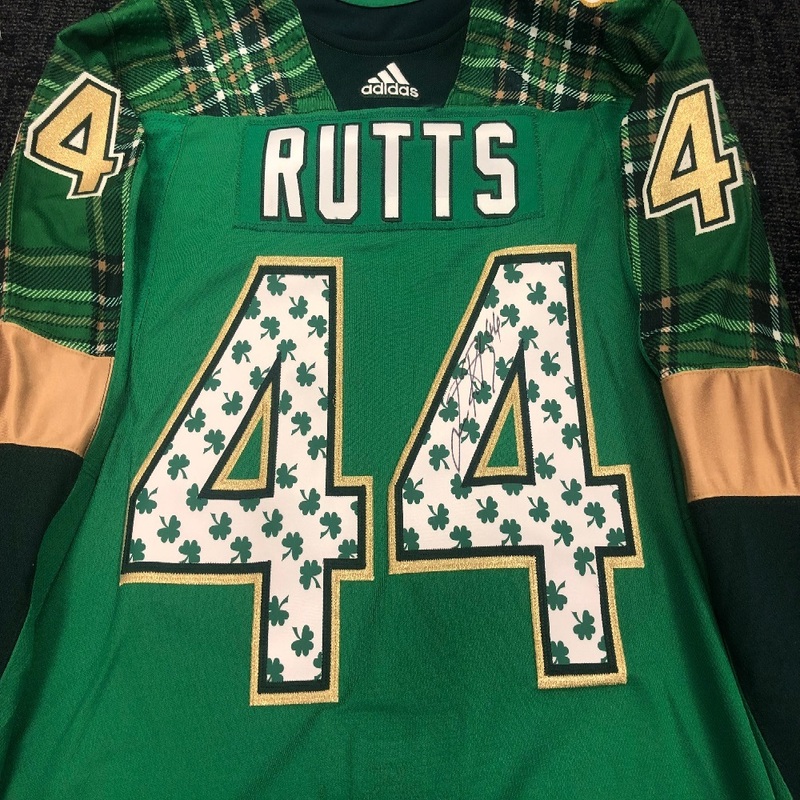 #44 Jan Rutta "Rutts" Green St. Patrick's Day signed warm-up nickname jersey. Jersey was worn during warm-ups prior to the game between the Tampa Bay Lightning and the Washington Capitals on Saturday, March 16th. 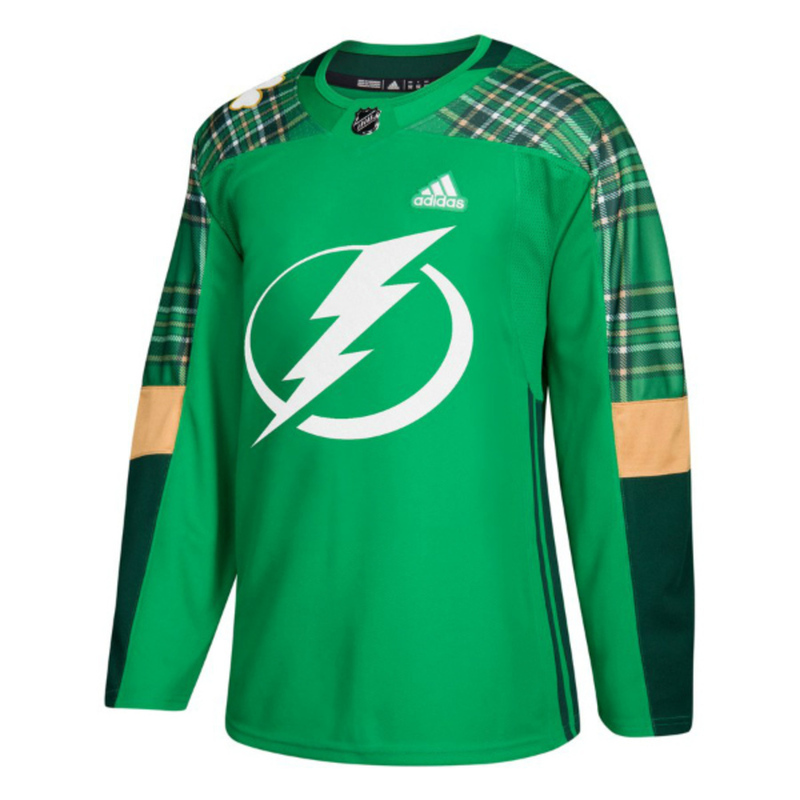 Proceeds from the warmup jersey auction will benefit Tampa-area charities through the Lightning Foundation. Size 58. For customer service inquiries, please contact Sarah Costello at email address: SCostello@amaliearena.com.